Irish sprinter Sam Bennett went into the opening stage of the Tour of Turkey today as the hot favourite and he didn’t disappoint. He has taken yet another victory to add to his 2017 tally. 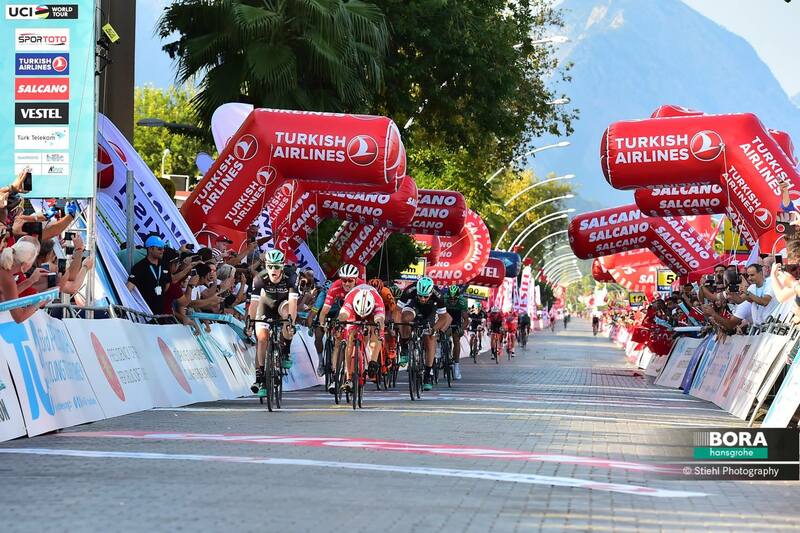 Ireland’s Sam Bennett has taken his second victory in a week; proving too fast for his rivals on the opening stage of the Presidential Tour of Turkey. The Carrick-on-Suir man just last week beat some of the best sprinters in the world to claim the Sparkassen Munsterland Giro. And while the opposition in Turkey today was not as intense, all the pressure was on the Irish rider. He is one of only two WorldTour sprinters in the field. And in the form he is in, all eyes were on him in the finale of the 176.7km stage from Alanya to Kemer. But he combined very well with his team in the final sprint after the early breakaway had been brought back. And not only did he take victory; he is now also the race leader and has the points classification jersey. Today he saw off a late surge from Marco Benfatto (Androni-Sidermec) and Edward Theuns (Trek-Segafredo) to claim what was a comfortable win.